Gold is believed to be one of the first metals found by man, likely discovered before recorded history. If not the first, then the second after Copper. It has been discovered on all seven continents and is found in a variety of places one might not think it would be. One of the things that make Gold so valuable was its rarity. It is the 72nd most common element on Earth (out of 78), found at a rate of 1.1 part per billion. Mercury is found at a rate of 50 ppb, and Silver is 70 ppb. Most of the Gold is found near the core, which is enough to coat the Earth in Gold that would be 1.5ft (.46m) deep. It was believed that Gold was created in a star much like Iron is, but there is a new theory that the collision of a Neutron Star is responsible. What is a Neutron Star? To put simply, when a star goes supernova, if it is a rather large star, it becomes a Black Hole. If it is smaller, it becomes a Neutron Star. 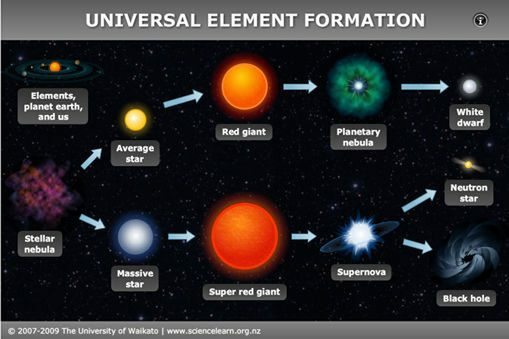 If a star is the size of our sun, it becomes a White Dwarf. A Neutron Star is basically a former star. When that collides with another Neutron Star, it releasing Gold, Lead, Uranium, and Platinum particles. These elements basically become space dust. As an asteroid flies through space, it can collect dust, such as Gold. These asteroid can then impact a planet and seed a planet with Gold. It is believed this is how Gold appeared on the crust of our planet. 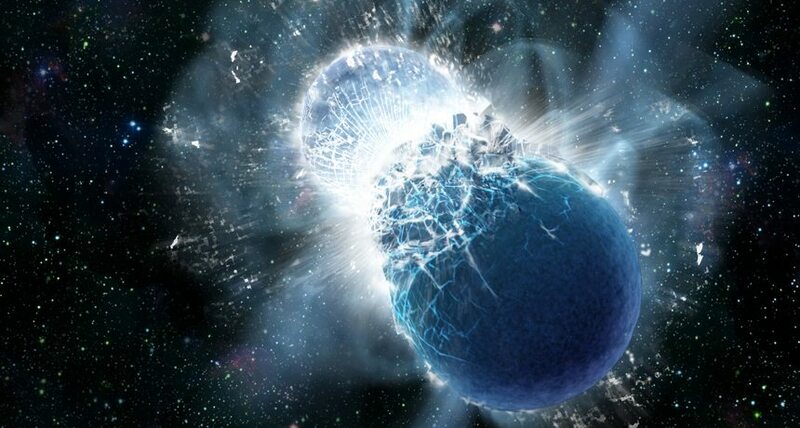 The collision of two Neutron Stars generally only happens once in 10,000 years. The amount of Gold released in this collision of failed stars is believe to be equivalent to 20 times the mass of Earth. As a dust, it likely was present when our solar system formed, but as Earth formed, the Gold present likely sank to the core. Gold can still form in the Sun like Iron can, but even then, it is still a rare element. Gold is a dense metal, that is a good conductor of heat and electricity. It is also a soft metal, with Pure Gold being so soft, that it can be molded in ones hands. It is one of the few metals to have a colour other than grey, is non-toxic, edible. The density of Gold is measured at 1186.13lbs/ft³ (19,300kg/m³), compared to Lead of 707.93lbs/ft³ (11,340kg/m³), and Osmium (the most dense metal) with 1410.12lbs/ft³ (22,588kg/m³). If you made a ball of Gold the size of a tennis ball, it would weigh 5.7lbs (2.6kg). Gold has a relatively high melting point of the first metals discovered, at 1945 F (1063 C). Copper is slightly high at 1981 F (1083 C), and Silver is slightly lower with 1761 F (961 C). 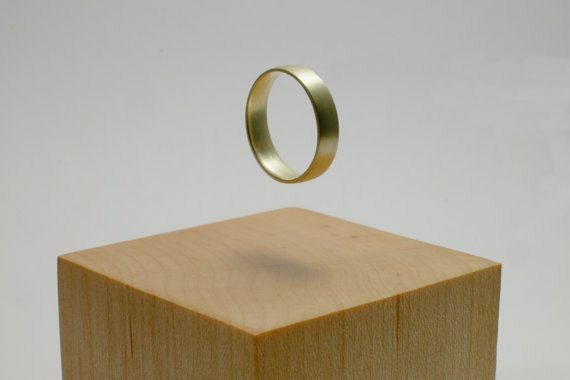 Gold is the most malleable of metals, which is indicating how thin the metal can be hammered. For instance, a single gram of gold can be hammered into a sheet measuring 10 square feet (1 sq meter). If hammered enough, it can be transparent. Thin sheets of Gold are called Gold Leaf, which can be 0.000127 millimeters thick (about 400 times thinner than human hair). A pile of gold sheets an inch high would contain over 200,000 sheets. Gold is also the most ductile metal. Ductility is a measure of how well the metal can deform under stress. 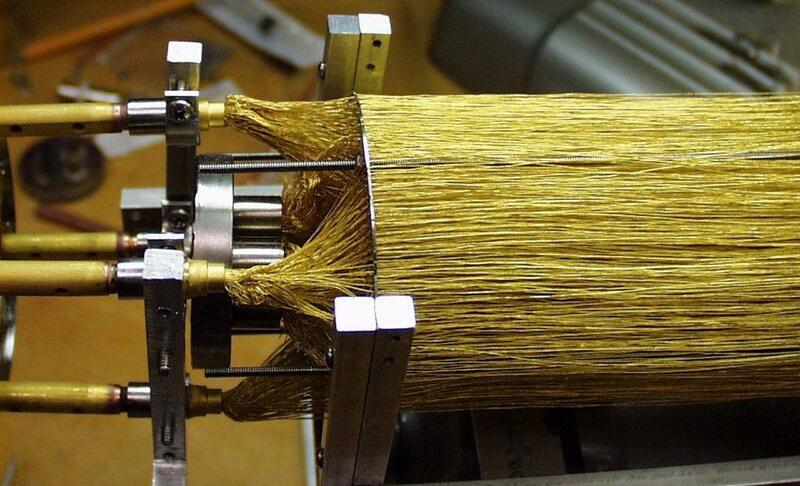 This is useful in making wires, as it requires stretching metals very thin. Gold ductility is useful for wire and for thread for jewelry. It is also so ductile, that an ounce of Gold (28 grams) can be stretched into a wire 60 miles long. When light shines through transparent gold, it creates a beam of greenish-blue light. This is due to Gold reflecting yellow and red. Transparent Gold is also able to reflect Infrared Light and heat, making gold useful as Infrared Shields and sun visors for helmets. It can also be used as a powder in the formation of glass, which will prevent the forming of ice, example being an airplane. One of the best things about Gold is its resistance to corrosion and acids. It does not react with hydrofluoric, hydrochloric, hydrobromic, hydriodic, sulfuric, or nitric acid, though if you mixed nitric and hydrochloric acids (this is known as Aqua Regia), it would dissolve Gold. Selenic acid also dissolves Gold. Gold can also interact with Sodium and Cyanide. When we think of metals as a whole, we think of a silvery/grey colour such as Lead or Iron. However, a few metals such as Copper and Gold have distinct colours, with Gold being slightly reddish yellow colour. Gold can be seen as other colours, depending on its mixture with other metals. Technically these are alloys, but I am giving it a separate section than alloys, as this process is done to achieve a specific colour rather than a specific application. Colours of Gold is primarily used in jewelry. It is important to note that 100% pure Gold is 24 karat. Which means that anything added to alter its colour is less than 24k. Karats will be explained in the Alloys section. To achieve White Gold, it requires the use of either Nickel, Manganese, or Palladium. Many mistake Rhodium plating of Gold as White Gold. Actual “White” Gold ranges in colours from pale yellow to very pale rose. Nickel is most commonly used with 90% Gold. Another common alloy is Gold-Nickel-Copper-Zinc. Nickel and Zinc act as bleaching agents, to give that “White” color. Nickel is ideal as it is hard and strong, which is great for rings and pins. Copper can be added to increase its malleability. However, about 1 in 8 people can have an allergic reaction (over long periods) to Nickel, seen as a minor skin rash. Gold-Palladium-Silver alloy is used for White Gold, with Palladium acting as a bleaching agent. Palladium is a soft and pliable metal, so Silver (can be Copper or Platinum instead) is added to increase weight and durability. Use of Palladium is good for gemstone settings. Gold-Manganese-Copper can also make a “White” or Grey Gold. This is used as a cheap knock-off of Gold-Palladium-Silver. To give off a reddish/rose/pink colour of Gold, it required the use of Copper. Created in Russian in the 19th Century (then known as Russian Gold), it has started to become more popular in the 21st century being used for a variety of uses, including wedding rings, bracelets, and other jewelry. While the colour terms can be used interchangeably, the use of Copper can differentiate each colour; the more Copper, the darker Red it becomes. 12K Red Gold: 50% Gold, 50% Copper. 15% Zinc can replace Copper to change colour from Reddish Yellow to Dark Yellow. During the Greco-Roman times, Gold was often referred to having a red colour. This was due to impurities in smelting process of Gold, causing it to turn Red. Many texts from Ancient Greek to Middle Ages can describe Gold as red. Electrum will be mentioned more under the Alloy section, but was an alloy of Silver and Gold. It generally had a Yellowish-Greenish look to it, being more Green depending on how much more silver was found. Cadmium can be used with Gold to give a Green colour, though it is toxic and can lead to death. Between 78% – 85% Gold with the remainder of Aluminum, this will transform into Purple Gold. It is very brittle, and will shatter upon a sharp blow. It is often used as a “gem”, than for anything else. Use of Indium is still primarily grey in colour, but has a slightly blue tint to it. Also has a slight blue hue. Both of these are less brittle than Purple Gold. Another way to create Blue Gold is similar to Black Gold (see below), using heat treatments to oxidize. While Black Gold can be slang for Crude Oil (discussed in a future article), this refers to either an alloy metal, or a special technique of processing Gold with another metal that is basically a coating. In both cases, it is using an oxide metal with Gold, and forcing the metal to oxidize through heat treatments, to create the black to brown look. Cobalt will form an oxide layer giving the black look. Chromium Oxide has a green colour to it. Better wear resistance than to Black Gold. The section above discussed alloys already, but those were just for the purpose of affecting Gold’s colour. This section is about the different alloys used for purpose other than colouring. For Gold, there are many uses for it on its own. However, a major drawback to Gold is it softness. Pure Gold is soft enough to deform in your hands. For any use where deformity is a concern, Gold is alloyed with other metals to become harder. Such metals include Silver, Copper, Platinum or Palladium. Alloys generally used for jewelry, decorative items, dental fillings (Amalgam of Mercury) and coins. When we discuss Gold in alloys, it is measured in karats. A karate is one part in 24. So when we see 18K, we know that is 18 parts out of 24, or 75% Gold. Karate was named for Carob Seed, as it was used as a counter balance on scale to measure gold. Crown Gold was used for coins (discuss in the Currency section). It was 22K, with 91.6667% Gold. The remainder was Copper, used to harden the Gold for currency, though sometimes Silver replaced Copper to soften up Crown Gold. The UK, US, and South Africa has used 22K Gold-Copper Crown Gold for currency. This is both an alloy and an ore.
As an ore, it is primarily Gold and Silver, with other elements in minor amounts including Copper and Platinum. During ancient times, it was the primary source of Gold, and was often used as a metal due to difficulty of extracting Silver from Gold. Electrum ore is called White Gold, though it is better described as being pale yellow, but could also be bright yellow depending on the Gold to Silver ratio. The more Gold it has, the brighter the yellow is. If Electrum is produced artificially, man made alloy, it can actually become Green, giving Electrum the name of Green Gold by the Lydians. Western Anatolia used Electrum ore for their coins, which had about 70% – 90% Gold. Lydian used created their own Electrum alloy, which had had 45% – 55% Gold. Electrum was used for a variety of reasons, such as coins, pyamidions on top of the Egyptian pyramids, drinking vessels, and many other things. 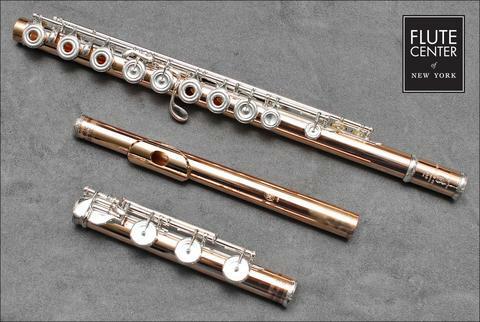 While used for its colour, a 14K type was used for High-End flutes. This was the name given by Spaniards for Gold-Copper alloy found in pre-Columbian Mesoamerica and South America. While various objects had different amounts of Gold and Copper, and sometimes used other metals such as Silver; Tumbaga made use of a technique of using citric acid to dissolve the Copper (and/or Sodium Chloride to remove the Silver) on the surface, leaving behind a Gold surface on top of a harder alloyed metal. Primarily a Copper alloy, with 90% – 96% Copper, the remainder contains Gold. The patina can be treated to produce a black layer, similar to lacquer. If the patina is not treated, it resembles bronze. It was used for decorative katana fittings, such as the hand guard (known as tsuba) as well as other smaller items. While this was used primarily in Japan, it has been seen throughout history in Egypt, Greece, and Rome. It is believed Hepatizon to be similar to this, with 8% Gold, and having a dark purple colour, similar to that of a liver. Special alloy believed that in wearing jewelry made of Panchaloha, one’s life would be more balanced. As it was described in the Ancient Hindu text Shilpa shastras, specifically on idol making, it used Gold, Silver, Copper, Iron and Lead. Lead could be replaced with Tin or Zinc. 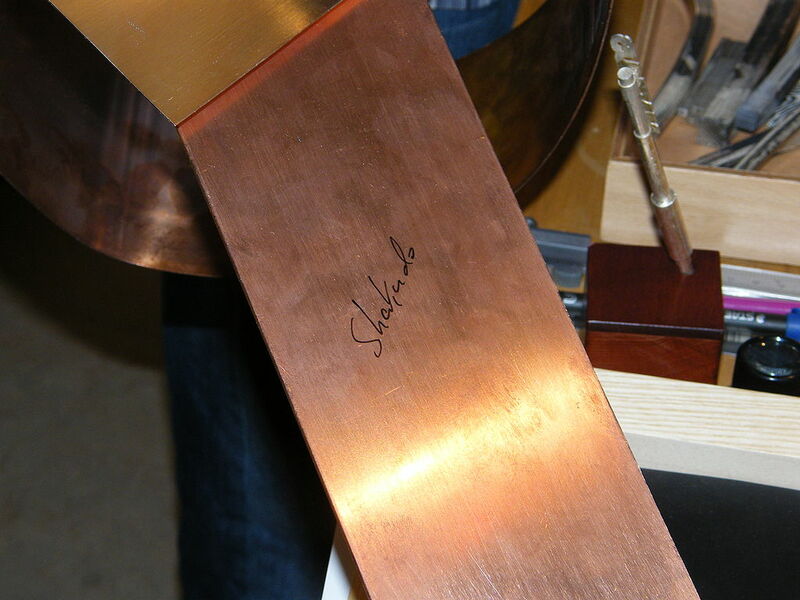 Modern uses of this technique take out the Gold and Silver for general-purpose icons and use Copper, Bronze, and Lead. Like Silver, Gold is often found as a native element. Gold can be found by itself, or in rocks with other elements. A common one during ancient times was a Gold/Silver alloy. Gold by itself is found as flakes or nuggets, found in mines or even in rivers. Gold can also be found in minerals such as: auricupride, calaverite, krennerite, nagyagite, petzite, pyrite, and sylvanite. 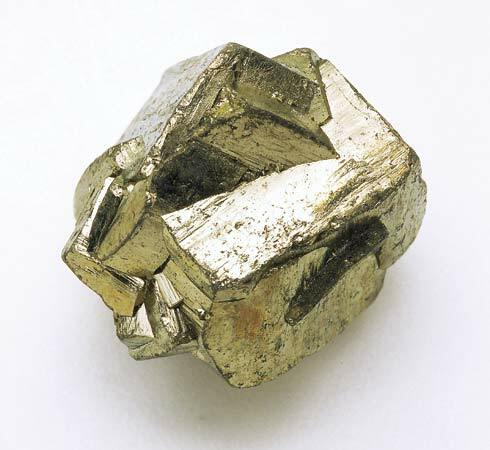 NOTE: Not all Pyrite has Gold in it, which is often referred to as Fools Gold. However, finding Pyrite is often indication that there is Gold nearby. While Gold is found on the surface of the Earth, thanks in part to asteroid impacts, it is also found in other places from below the Earth’s crust right down to its core. Gold can be pushed to the surface thanks to earthquakes and even volcanic activity. In the case of earthquakes, water is found about 6 miles (or 10 kilometers) below the surface and carries various elements, including Gold. During an earthquake, the water is turned into steam and push upward towards the surface, carrying the elements with it. Another source of gold is the oceans. Ranging in about 10 – 30 parts per quadrillion (billion has 9 zeros, while quadrillion has 15 zeros). At around 10 ppq, it is believed there to be 15,000 tonnes of Gold in the ocean. However, extraction is rather difficult, and there is no economic way of extracting gold from the ocean. Any method one could use, would cost more than the value of the Gold they can collect. It is believed that 184,000 tons of Gold has been mined total. At a value of $1600 USD per troy ounce, that is a value of $8.4 trillion USD. Each year we mine about 2,800 tons of Gold. Prior to the 20th century, only about 27,000 tons of Gold had been mined, leaving the vast majority done in the last hundred years. With all the Gold we have mined, it is believed that only accounts for about 20% of the Gold underground, with around 80% still buried. Since the 1880’s, South Africa has been the leader of Gold mining in the world. That was until about 2007 when China began to outproduce South Africa, followed by other nations in the world, including Australia, USA, Russia, and Peru. Throughout history, predominately in the US, there were discoveries of Gold in various locations, creating Gold Rushes. Gold Rushes will be discussed later in this article. In light of Gold rushes throughout history, several method of extracting it were develop, often driving innovation of mining. The most common method of Gold extracting is with Placer Mining. Often in loose soil or alluvial deposits in rivers. One of the earlier methods used for Placer Mining, that can still be seen today with hobbyists is Panning. You basically grab a pan, scoop some gravel in a river, and attempt to separate out the Gold from everything else. Since Gold is more dense than rock, it tends to collect on the bottom. Panning is very small scale however. Sluicing boxes were the next step up from panning. Basically it was a filter used by the power of the river itself (and later man made jets of water) to extract Gold from the river. You pour in some dirt, and the water pushes out the less dense material while the Gold remained. As rivers were highly mined, some would take to digging into the ground, and if they were lucky, finding quite a bit of gold only a few feet deep. These were known as Placer Pits, a pre-cursor to Open Pit Mining, which is used for Gold in some places. 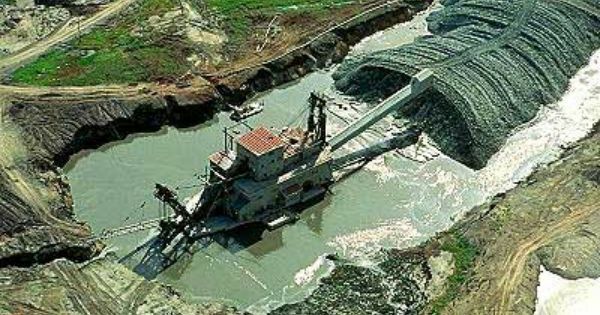 Dredging, or Gold Dredging, was one of the first steps toward large scale operations. First used in the early 1900’s, it is still used today for more small scale operations. This makes use of a mechanical suction of gravel, and using water to sort it all out. Oversized materials such as rocks were carried back into the water on a belt, while smaller materials (such as gold) dropped to the bottom through holes. These could be grand standing machines, though today they can be quite small. During the 1850’s, after the surface Gold in California was all dried up, Hydraulic Mining began, spraying highly pressurized water at hillsides to reveal gold. This unfortunately had the side effect of polluting river with mud and other minerals. While effective, it was ultimately banned. Whenever Gold was discovered, people usually flocked to the alluvial deposits in the rivers. However, within a few years, the majority of alluvial deposits would be extracted (still possible to find small amounts here and there). In order to facilitate the large demands of Gold, it required digging in the rock itself. This however has been met with a lot of difficulty, and while the Ancient Egyptians were known to have a Gold mine, it wasn’t until the Gold Rush in the 1800’s that mining was improved. Mining for Gold requires basically drilling into the rock and hoping to find a lode (metal found in rock or fissure). There are ways in which one can increase their odds, requiring a geologist looking at formations of rocks and taking samples to determine where companies should dig for Gold. 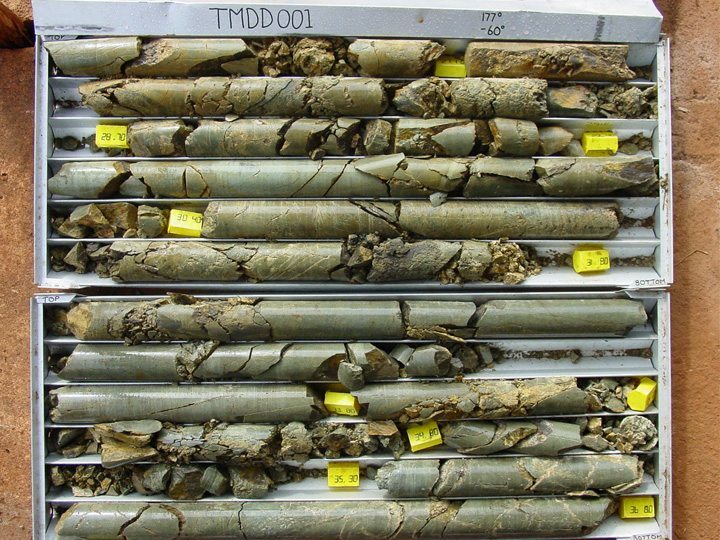 The samples taken make use of Diamond Drill Cores, which will extract rock 3.5mm in diameter, and can be up to the length of a football field. NOTE: There is a working theory that Gold found within termite nests are indication of a large gold source, as termites may eat Gold, but don’t digest it, and rather excrete it out. If the Gold is close to the surface, then companies will make use of Open Pit Mining. If it is deeper, then it is determined if it is feasible to extract and leave it up to engineers to figure out how to extract the Gold. In creating tunnels, holes are dug into the rock face and are stuffed with explosives. The debris is hauled out, and this process continues until the lode is found. South Africa has the deepest Gold mine in the world, at over 12,800ft (3900m). One of the biggest challenges they face is the heat, as it can get as high as 113 F (45 C) down there, though air condition will put it at a more tolerable 82 F (28 C). It can also be very dangerous, as cave-ins are a very serious threat, and can come without warning. Even with support beams in place, digging that deep underground can be quite unpredictable. This is due to the pressure put on the rock, wanting to fill any empty space. In the early days of Gold mining, cave-ins were a very serious threat, which prevented digging to only a few hundred feet. However, using timber for bracing of walls in tunnels became a common practice to reduce cave-ins and allowed tunnels to go deeper, but this required a lot of wood, creating ecological disaster as forests were stripped bare. Another important technology developed for mining was Dynamite, invented by Alfred Nobel. It helped to clear away rock to get to gold, replacing the use of black powder, which came with its own dangers. While there are Gold specific mines, Gold can be a byproduct of mining for other metals such as Copper and Silver. 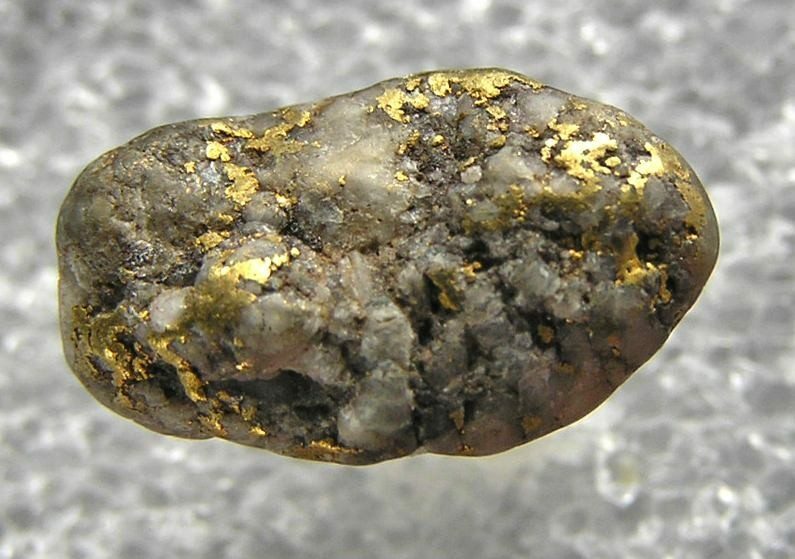 Other than loose gold found in rivers, an ore easily found was Electrum. Electrum is an ore, though more of an alloy of Gold and Silver. While it was easy to remove other impurities from Gold, Silver proved very difficult as the structure of Gold and Silver at an atomic level are quite similar. For the longest time, Electrum was used as it was for many things including coins. Egyptians were an early pioneer of Gold, having mines as deep as 300ft (91.4m), using heat and water to create fissures in the rock, and then dug up the gold. They made use of Sodium Cyanide to separate Gold from other metals, including Silver. This is a process still used today, though it was rediscovered in the Industrial Revolution. The use of Cyanide is toxic to humans and is controversial today, with many countries banning its use. Despite that, it is the most effective method of extracting Gold, and can be used in conjunction with Mercury and Carbon to extract even more purity. The processing of Gold today is not too dissimilar to how other metals are processed. Usually the ore is washed and filtered at the mine as a preliminary refinement technique. Then it is shipped to mills, where it is first combined with water and ground into smaller chunks, before it is ground in a Balls Mill, where steel balls are used to pulverize the ore in a spinning container. One method from here used is Floatation. With Flotation, the Gold is separated from the ore using chemicals and air. From the Balls Mill, the ore is dumped into a solution that contains a frothing agent, causing the water to foam. Then a collection agent is added which causes the Gold to bond to the bubbles with another chemical added to keep other contaminants from bonding to the bubbles. From here, the Gold is scraped off from the top. Another technique is Cyanidation. 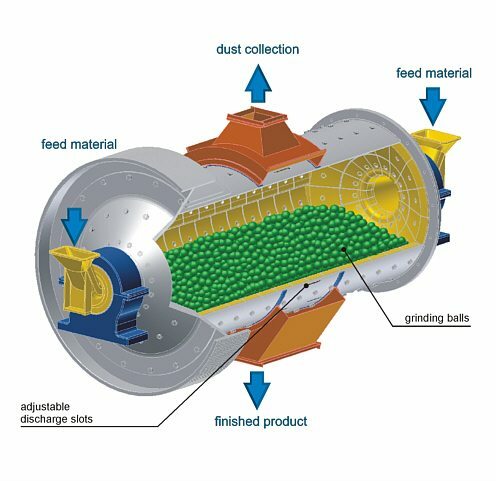 From the Balls Mill, the ore is placed into a tank with a weak solution of cyanide. Next, Zinc is added to the tank, which causes a chemical reaction to remove the gold from the ore. This is called Gold Precipitate. From there, the Gold goes through a filter press to extract the cyanide out. Amalgamation is a similar processes, but uses Mercury. Mercury can form itself to Gold very easily. From the Balls Mill, the ore is carried over plates of Mercury, which attracts the Gold and forms an alloy called an Amalgam. From there, the new alloy is heated, causing the Mercury to boil off and leave the Gold behind. Carbon-in-Pulp method is similar to Cyanidation, but instead of Zinc, it uses Carbon. After the Carbon is added to the Cyanide and Water, the Gold bonds to the Carbon. The Carbon is removed and placed in a hot corrosive carbon solution, which separates the Gold from the Carbon. 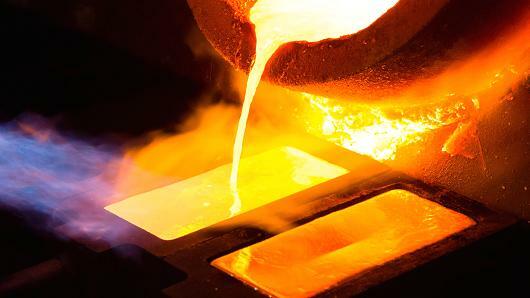 Whatever process goes from mining to processing, it is poured into a bar called an Ingot. It is then measured for its purity. The International Standard for Gold is 99.8%. If for any reason the Gold is not this pure, it is then sent to a Smelter. The Smelter will heat (2912 F or 1600 C) the Gold with a chemical called Flux (Magnesium Dioxide, Fluoride, Silica Flour, Borax, and Sodium Nitrate). The Flux will bond with the impurities and floats to the top, called Slag. The Slag is removed and tested to confirm there is no Gold. If there is Gold in the Slag, it is smelted again. The Gold is then hardened as an Ingot. Gold Coins have been common throughout history. Mostly as a means of currency, similar to how Silver and even Copper/Bronze was used. Though today, Gold Coins are more seen as Bullion Coins (coins used for investment purposes), or as Commemorative Coins (coins with a distinct design to commemorate specific events). Today, Gold Coins are not used in everyday transactions, but is still considered legal tender. Because of the fluctuating price of Gold, the value of a coin can exceed its Nominal Value. The Nominal Value is an unadjusted value given to a coin. 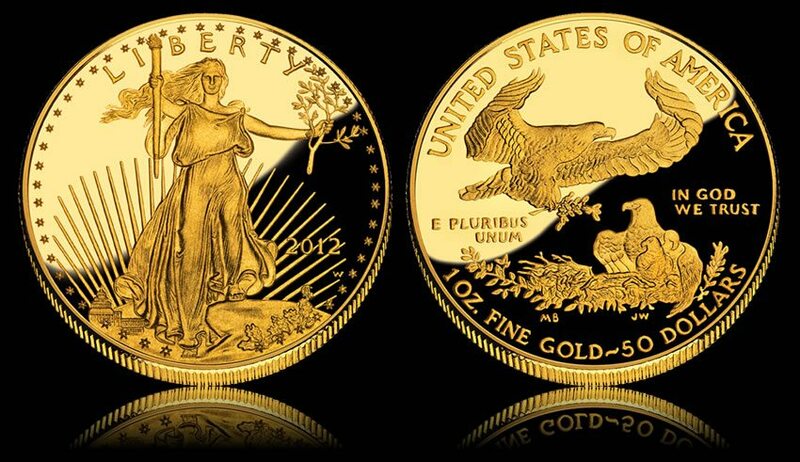 Such as the example of the American Gold Eagle, which is a denomination of $50 USD, but the value of its Gold is $1000 USD. One of the things that made Gold so usable as currency was its fungibility. Fungible means that it can be easily compared to another of its kind and still hold the same value. Basically, an ounce of pure Gold is comparable to another ounce of pure Gold. Diamonds would be an example of something that is not Fungible. Diamonds vary in cuts, colours, grades, and sizes. It is rather difficult to find two diamonds of the same cut, colour, grade, and size. Another important element to Gold was its low spread. This refers to the price of buying and selling merchandise, and Gold’s value is slow to fluctuate in value (though in the latter half of the 20th century, that changed). Gold is easily transportable, high value to weight ratio, can be divided into small portions without altering the value of the metal, and remelted into a ingot/coin without changing its value. It also doesn’t tarnish or corrode over time. The density of Gold (as example by Archimedes discovery of buoyancy) is higher than most metals, and of the Metals of Antiquity, the heaviest. This made counterfeiting Gold coins extremely difficult. Depleted Uranium and Tungsten are similar in density to Gold, though Depleted Uranium is government controlled, and Tungsten (while common) wasn’t discovered until 1781. Some have used a Tungsten core/center with Gold all around it to counterfeit Gold. You may have seen in movies, but there was an old practice of biting a coin. This was actually a fast method of testing whether or not a coin was counterfeit. Since Gold is soft, and alloyed metals with Gold would improve its wear and durability, the more other metals were used, the less soft it would be when biting. Another explanation of this, was due to some trying to pass Gold-plated Lead off as a Gold coin, and by biting it, it would scratch off the Gold layer, and reveal the Lead below. While Gold itself has been used as a currency likely upon its discovery, the first Gold Coin with a stamped image didn’t appear until 6th Century BC. It was credited to King Croesus of Lydia. While Gold coins throughout history has contained some Silver, the Lydians made use of advanced Gold smelting which could remove the Silver. By the 20th Century, most of the world stopped using Gold as currency, and even stopped using the Gold Standard (discussed in the next section). This was in part due to the fact that many were hoarding Gold during the Great Depression. The US issued Executive Order 6102 in 1933, making it illegal to hoard Gold, and began to devalue the Dollar relative to Gold. It wouldn’t be until 1971 when US Currency was uncoupled from Gold. NOTE: Owning Gold after 1933 was punishable up to 10 years in prison and $10,000 in fines. Up until the 20th century, many civilizations used Gold as a Standard Economic Unit of Account (another way of saying money). There were a few ways this was implemented. Gold Specie Standard – This was a monetary unit that was associated to the amount of gold coins in circulation. Mostly seen as a Gold coin, but could also be a coin of lesser metal value representing the Gold in circulation. Gold Bullion Standard – Gold coins do not circulate, but that Gold bullion was sold at a fix rate in exchanged for the circulating currency. Gold Exchange Standard – Gold coins do not circulate, but a currency that could exchange with a foreign currency (that uses Gold standard) at a fix exchange rate. Gold Specie arose from widespread use of Gold as a means of currency, though other commodities could be used as money as well. Since so many other nations in the world used Gold currency in the Ancient ages, it was easier to adopt Gold as a primary currency. As time went on, some nations adopted a Silver Standard over a Gold standard, but eventually adopted a Gold standard as many powerful nations had a Gold standard. Soon, Specie Standard was phased out in favor of Bullion Standard, which made use of lesser metals and/or paper to represent Gold. The advantage that Gold Standard had over other systems was the difficulty of inflation and hyperinflation. Currency was represented by the amount of Gold a society had, and the only way to increase currency was to increase the amount of Gold they had. The only thing that could drastically influence inflation was Gold Rushes and the destruction of War. The disadvantage with the Gold Standard, is the limitation of economic growth. Some economists believe that as production growth increases, so should its money supply. Especially if there is a boom of a population and there is a requirement for more goods to be produced, yet the money stays the same. There is much more to the discussion of Gold Standard, which requires its own article. Hopefully this is a good starting point for using a Gold Standard in your story, as I recommend that you need to do more research. Whenever Gold was discovered, there were an onrush of miners (and non-miners) off to seek a fortune. Whatever life they previously had, they abandon for the promise of wealth. While first come first serve certainly played a part in finding Gold in rivers, sometimes a major find was more about being in the right place than how long you’ve been there. While it is probable that Gold Rushes have occurred throughout history (some suggesting Ancient Rome and Egypt), it is only in the 19th and 20th century did they have prominence. The major rushes occurred in Australia, New Zealand, Brazil, Canada, South Africa, and the United States, though minor ones have sprung up all over the world. None was more prominent than the Gold Rushes in California and Alaska. Like Silver Rushes, Gold rushes would boost the local economy. However, as the gold became depleted, many would leave to find Gold in other places. The use of panning and even sluicing boxes would tap an alluvial deposit within a few years. Others would instead focus on Silver mining, as Silver Rushes were likely to last several more years than Gold Rushes. This was of great benefit to the country, as it was basically a surplus of Gold coming into their country, and they didn’t have to pay anyone to mine it. This new income could create a stimulus in the economy, allowing infrastructure to expand as there was more money to go around, whether it was a Specie or Bullion Gold Standard. As more and more Gold Rushes popped up, new towns also popped up. More often than not, this was build on a poor infrastructure, building cheap and fast, and not of the greatest sanitary conditions. Towns and cities like these were plagued with fires, crime, and price gouging. Citizens, especially miners, dealt with scurvy, dysentery, malaria, and typhoid. However, wealthy prospectors spend a lot of money in saloons drinking and gambling. While many tried to maintain some level of law, others attracted criminals. Some places were isolated enough that criminals could easily have free reign over a location, and the limitation of supplies and communication made life even more difficult for the settlers. Some criminals were even along the trail leading into a Gold Rush, robbing people as they traveled. People would travel across a country or across seas, uprooting their lives in hopes of striking it rich. While there were some prominent finds, most of those who sought Gold lived in poverty. People didn’t really think about cost of living, as they sought to strike it rich, nor realized how high the price could go. For those who didn’t strike it rich with Gold had to rely on what they had brought with them. Unfortunately, in trying to leave as quick as they could, any property they had they sold for cheap to get rid of it, and spent most of their money on the journey. If you had a steady stream of Gold or hit big, then it was easy to keep yourself fed and warm, but if you did not, then you basically worked yourself to death. For a new Gold rush, a prospector could earn $10 ($150 today) a day, but as more people came and there was less Gold, the average dropped to $1 ($15 today). Given the remote regions, prices increased accordingly by how far off the trade was coming from and even by seasons. Here is a brief example of some pricing during the California Gold Rush. This features how much it would have cost as a standard of the time, how much it cost for the Gold Rush, and what the Gold Rush value would be today. Now imagine, a down in his luck prospector spending everyday looking for gold for anywhere from 8 to 15 hours a day, and come up with $1 for your work. About the only thing you could buy was coffee, and maybe in a weeks time, some rice. The unfortunate part about Gold Rushes, especially in America, was the forced removal of indigenous populations. Part of the reason for the Trail of Tears, the forced removal of the Cherokee Nation from Georgia was the Gold rushes discovered there. Other Gold Rushes locations throughout the US also required the force removal of Native American Tribes. Note: Gold Rushes were not the only thing that caused forced removals. In the US, the first major rush started in 1799 at Cabarrus County, North Carolina. It wouldn’t be until 1848 was the infamous California Gold Rush in the Sierra Nevada, which led to settlement of California by Americans. This Gold Rush brought worldwide attention, from people all over the world coming to strike it rich. From here, Gold Rushes began to migrate North, eventually reaching the Klondike and Nome. The Klondike, and other places in Canada and Alaska brought about difficulties, such as the ground being frozen, making digging very difficult. Many would instead own land and hire people to dig for them. The quest for Gold brought out the worst in people, and it is not our best moments in history. Many died along the way, many died trying to make a living, whereas many were forced to leave their land. Many who did survive lived a very undesirable life. While some might reflect positively on Gold Rushes, they are anything but positive. Looking back, Alchemy seems like a fools pursuit, but it in fact has a great importance to our modern society, as being the precursor to Modern Chemistry and Modern Medicine. However, one of the primary goals of Alchemy was Chrysopoeia, which was the transmutation of base metals into noble metals. More specifically, Lead into Gold. And also the Elixir of Youth or Immorality. Gold in alchemy was import for many reasons. Primarily, it was an economic reason. For Gold Standard civilizations, having more Gold was a good thing. More Gold meant more power. Though in practice, more money is not always a good thing. Then there was thinks like the Elixir of Youth, that could make you younger, or the Elixir of Life/Immortality, would could make you live forever. It was believed that Gold was a primary means to accomplish this. Yet another reason for the importance of Gold was Hermetism. From the writing of Hermes Trismegistus, who believed that transmuting Gold from lead was an analogy of personal transmutation, purification, and even perfection. If one could master the transferring of Lead to Gold, then one could transform life itself. While Gold was important to these things, another element was needed: the Philosopher’s Stone. Many cultures reference this, or similar things to it. Simply put, it was the thing that would allow transmutation to occur, to allow the Elixir of Immortality to happen, for any other process to be done. By itself, it could also heal any illness or injury, prolong one’s life if they consumed it, make perpetually burning lamps, transmuting stones into diamonds, reviving dead plants, making flexible/malleable glass, and cloning. 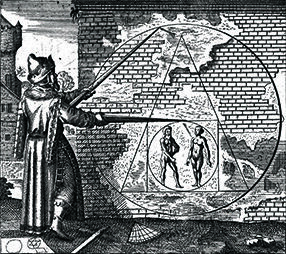 Alchemy led to the creation of Chemistry by the 1700’s, which separated itself from Alchemy. Chemists of the age believed that Alchemists were charlatans, even if it was Alchemy that created Chemistry. Interestingly, it is Chemistry that led to how a metal could be transformed into Gold, or other metals. In fact, Chemists had their own Philosopher’s Stone… by the name of a Particle Accelerator. Basically, a machine that accelerates subatomic particles and throws them at other subatomic particles. With that, a lot of energy, one could produce a very tiny bit of gold. 1980, Lawrence Berkeley National Laboratory in California was able to use Bismuth and transformed it into Gold. A very, very small amount of Gold. How small? Let’s put it this way, to run the machine to make this happened cost $5,000 to run for an hour, and would require it to be run for a day. Glenn Seaborg stated that it would cost one quadrillion dollars per ounce to produce gold doing it this way. So Alchemists were not wrong. 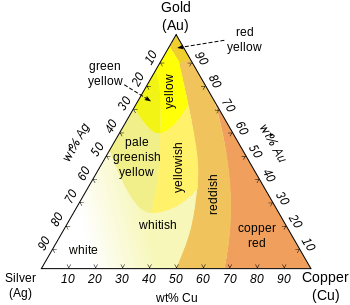 It is possible for Gold to be transmuted from another metal, though their assumptions were off base and the method was nowhere close to what it actually involves. When we discuss health and Gold, our minds tend to go to Alchemy, and the pursuit of Gold based medicines, that could make one live forever, or heal any wound. While Gold has yet to reveal how one could live forever, in the last century, much has been discovered about Gold helping in new ways medically. NOTE: Human body contains 0.2 miligrams of gold, most in our blood. Throughout the ages, Gold has been used to treat boils, smallpox, ulcers, bubonic plague, and anything else really that someone with money could waste their money on. Thankfully, Gold is edible. So the worst that can happen is that it would pass through your system. Here are something that Gold has been discovered to help with. This is when your immune system mistakes your linings of your joints as a foreign invader and attack them. This condition starts usually after the age of 40, affecting more than 1 million people. Gold can be given as an injection, known as Gold Sodium Thiomalate (Myochrysine) or as an oral treatment, known as Auranofin (Ridaura). The injections were more efficient. Either was given on a weekly or monthly basis. The treatment was known to bring down inflammation. However, the treatment was not for everyone, as it didn’t always work. 1/3 of patients experience no effect from the treatment. 1/3 of all patients experience (whether there was a positive effect or not) side effects including: severe skin rashes, skin discoloration, kidney damage, bleeding disorders, and bone marrow suppression. Due to its side effects and the low success rate, the use of this treatment has fallen out of favor, but can be used if other treatments (that have better success rates) fail. Lagophthalmos is the inability to close your eyes completely. This is an issue due to the fact that when you close your eyes, your eyelids help lubricate your eyes to maintain a moist environment. It can also flush out foreign bodies. Failure to complete close your eyes can lead to abrasions, infections, and drying. A treat uses is implanting small plates of gold into your upper eyelids. This helps the eyes close completely by help of gravity. At present, there are many application in the test phases for Gold’s use in other medical treatments. This will be discussed more the the Future subsection under History. It’s easy for us to think of Gold as something used in jewelry or coin, but in fact has a great many uses beyond that, and is even a part of our everyday lives. Like Iron, Gold has a lot of great uses and our need and desire for it will never run out. However, of the things we can use it for, it tends to make things have a high cost due to the value placed on gold and its availability, with the majority of use going towards jewelry. Gold can be used in the production of glass. By putting gold in Aqua Regia, it can mixed in as a salt (or colloidal, which is gold suspended in liquid) with molten glass, before it is hand blown (can be molded). 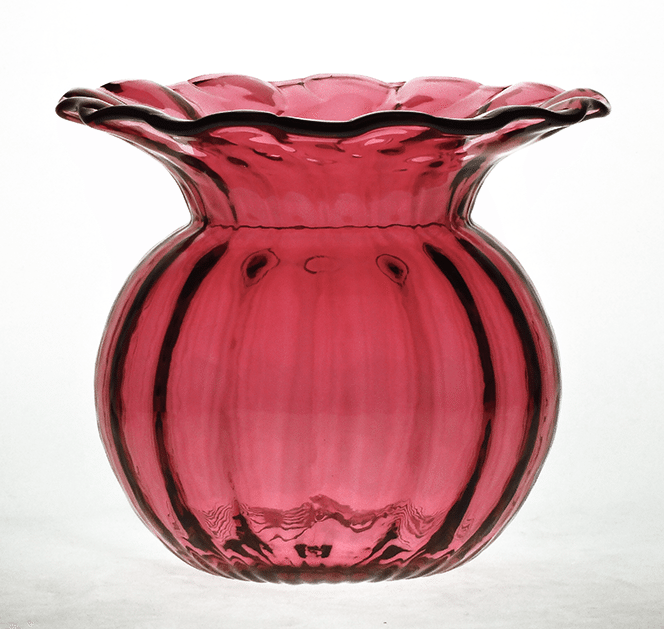 The final product is known as Cranberry Glass, due to the hue. NOTE: More than just red, depending on the amount of gold added, can also be yellow or violet. 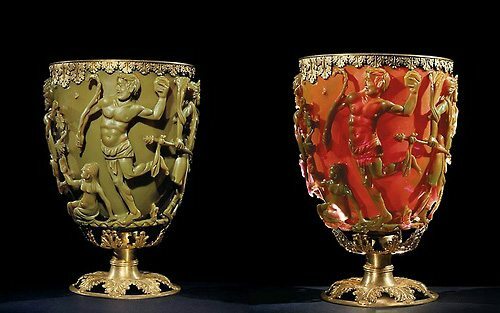 It is believed this has been done since the Age of Antiquity with the Lycurgus Cup, which had both Gold and Silver salt, so depending on how light was shown through it, would alter its colour. Like most things from the Roman Empire, this technique was lost after the fall, but rediscovered in the 1700’s. It wasn’t until the 20th century when Richard Adolf Zsigmondy developed the ultramicroscope and used it to analyze the properties of Gold being responsible for the colour red. His work won him the Nobel Prize in 1925 for Chemistry. Another way Gold is used in glass is not for its colour, but rather for climate control. Gold can reflect solar radiation outward, or even inward; allowing a building to stay cool during the summer or warm during the summer, respectively. This can also prevent the formation of ice on the window, as it is used for airplanes. Note: All 14,000 windows on the Royal Bank Plaza in Toronto, Canada, are coated in 153lbs (70kg) of pure gold. This same principal is used for Astronauts in space with their helmets. They have a pull-down visor made of a thin layer of gold (0.000002 inches, or 0.00005 millimeters) glass that can allow sunlight to come in, and keep the inside cool. 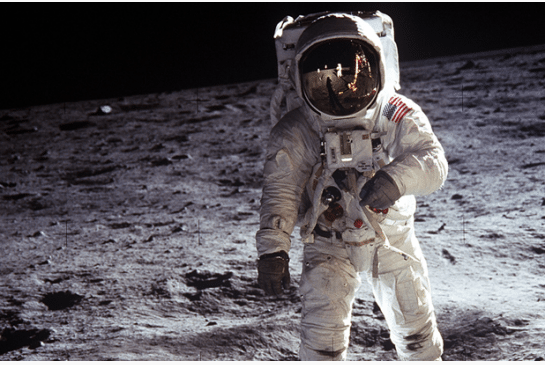 NOTE: While not glass, for the same principle of building and Astronaut helmets, Gold is found on satellite and the space shuttle as gold-coated Mylar coating, to protect against solar heat. Telescopes also make use of Gold coating for 18 hexagonal mirrors, for deflections of IR light. 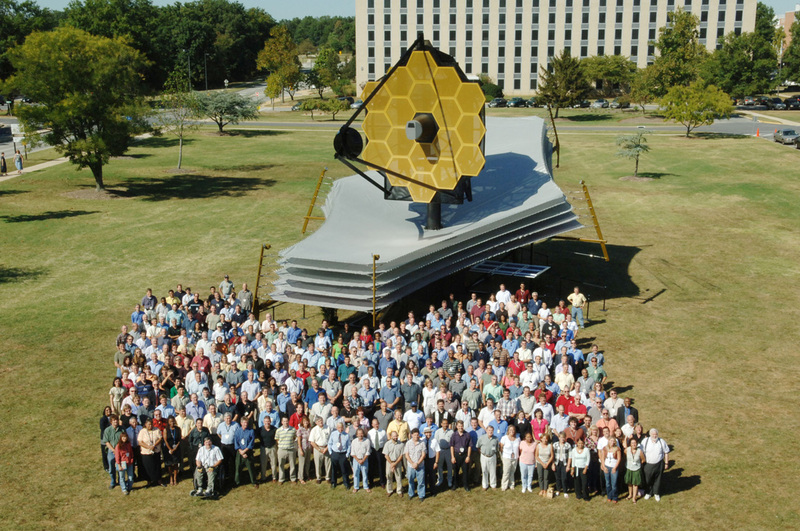 Such as the James Webb Space Telescope, due to launch in 2018. The mission of JWST is to detect young stars and galaxies through infrared astronomy. Like Copper, almost all electronic devices contain some Gold in them. This is due to the fact that Gold does not tarnish or corrode. Metals such as Copper don’t normally corrode, but under the straight of electrical current, it can. To briefly explain what makes Gold so great for electronics, even if Silver and Copper seem better capable for writing, is that corrosion is basically a metal returning back to its ore state. Many metals don’t exist as their metal state, but rather as an ore. There is a reason why it is more likely we find Copper as an ore than as a pure metal in nature, as ore is a natural state. When we process Copper, we make it unstable in comparison to its natural state. Now what I’m explaining is a bit more complicated than this, but this is a simpler explanation. Since Gold is stable as a metal, it doesn’t corrode, which is ideal for electronics, despite Copper being superior than Gold in other ways. If Gold wasn’t so expensive, it is likely Gold would be used more often, as when a metal corrodes, it can interrupt the signal. 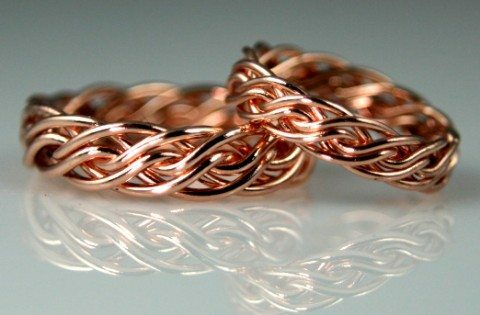 NOTE: Of many metals that can be used for wiring except for Gold, Copper tends to be the least corrosive, as it can be found in its metal form in nature. Over time, it can eventually corrode, but it is a slow process. Copper also has a conductivity of 100%, where as Gold is 70%. Because of its high cost, Gold is often used through Electroplating to cover the metal and protect it from corrosion. Gold Electroplating can in fact be used in many different applications, adding a protective layer to electrical components, to being used to make something more aesthetically pleasing. 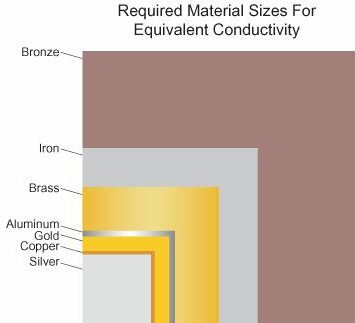 Now there are instances where Gold is used over Copper where reliability is far more important, whether because it is used for something where repairs would be difficult, such as space flight, or it is used when we are talking about something designed under a microscope, such as microelectronic circuits. While Copper can be used in these instances, Gold promises to be more reliable. A prime example is cellphone, specifically smartphones. Every single one has Gold in it, though the amount of Gold is equivalent to around $0.50. With over 1 billion phones made every year, that is a cost of $500 million in Gold used. As great as this is, this can be worrisome, as people often don’t recycle their phones, and this is a loss of Gold from the market. A sample of other electronics where Gold is used: GPS, tablets, calculator, alarm clocks, microwaves, washing machines, TV’s, computers, and fuel cells. 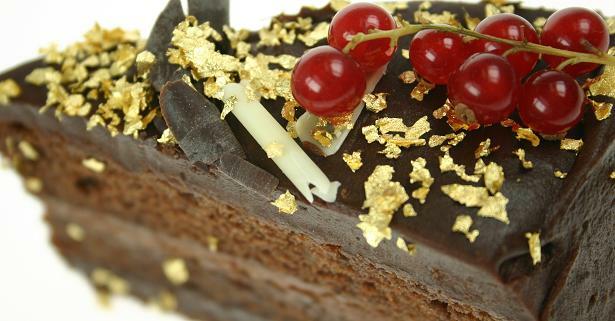 Gold Leaf is used in culinary dishes, as far back as Ancient Egypt, but predominate in the Middle Ages and today. Some Asian countries put gold in fruit, jelly snacks, coffee, and tea. It is also possible to find Gold leaf in alcoholic drinks. Chloroauric Acide (also known as Brown Gold Chloride) was used as a toner in photography that used silver to make an image. While called a “Gold Medal”, the Olympic Gold Medal only contains 1.34% Gold. However, Gold Medals in 1912 were made of pure Gold. 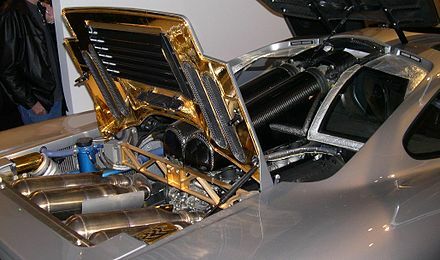 Mclaren F1’s Engines uses Gold for their high-performance vehicles, including Gold Foil in the engine compartment as a heat shield. Gold is used with Mercury for dental fillings. This is due to it being chemically inert and non-allergic. Gold can be used a lubricant. In hostile environment of space, an ordinary lubricant can be broken down by intense radiation. Gold has a low shear strength (measure how much resistance a material has to slide across it), and can be very thin. This makes it ideal to replace as a lubricant in space. There are many other uses for Gold beyond this list, but this is just an example of where you would find gold. Much of the Mythology of Gold has been explored in the Alchemy section, but there is a bit more to say on it. Because of all of its properties known since Ancient Times, made it a concept of what it was to touch God. Some thought it was the skin of their Gods, while others thought it was their sweat. Many associated the colour of Gold to the Sun, as they both were yellow. It’s resistance to tarnish and corrosion, and its indestructible nature gave to the belief that Gold was a symbol of perfection itself. To be like Gold was the ultimate goal, and to consume gave the belief of good health or immortality. It was also that of purity, a symbol of incorruptibility. The promise of Gold could drive anyone to do anything. You had gold, you had power. It is no surprise that myths were told of Gold, whether it was lost cities, a unobtainable treasure except only to those worthy enough to get it, to even transmutation of ordinary objects to Gold. Most of these Myths hold Gold in high esteem, and that it either grants riches or gives immortality. While Gold had its own value, its use as a plot device made it more coveted than the metal itself. It was a form of status. Not just to have Gold, but to display it out for everyone to see, to know that you had so much gold, you could have a statue of yourself. And most of all, be buried with your Gold possessions, in hope to have it in the afterlife. The promise of Gold in the New World is what set many expeditions from the known world… to colonize it and to get it before anyone else could. This mentality was started since the time it was first found in a river and carried throughout history, leading to the colonization of America, the taming of the Wild West, and the possibility of taking us to another planet. Greed was a common element to the myth of Gold, and while sometimes this greed was bad, often the greed was justified at the promise of a better life. Of the great many things Gold can now give us, its legacy in legend is its corruptive hold over mankind. We know that Gold and Copper were discovered in this time period, likely before 6000BC, but this is a period before written history, so exact discovery of Gold is unknown. 6000 BC – First Gold smelting began, likely in Mesopotamia or Syria. 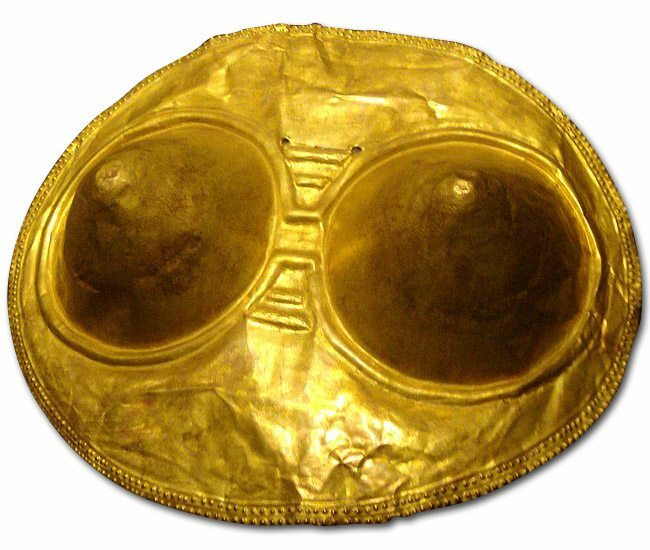 4500 BC – The Varna culture (Bulgaria) began to use Gold for decorative objects. 4000 BC – Ancient cave found in Israel features Gold of 98% purity from this time period. 3600 BC – Egyptians began to develop Gold Smithing, using clay blow pipes to heat fires. 3500 BC – Indus Valley Civilization made use of testing gold purity with Touchstone. 3000 BC – The Sumer civilization (Iraq), using techniques of its time, made jewelry, and later innovated designs. 1500 BC – Thanks to mine found in Nubia, Egypt becomes a wealthy nation, as Gold becomes the standard medium of exchange for international trade. Also during this time, an early Gold coin was made, called the Shekel. It made use of Electrum, with 66% Gold and 33% silver. 1350 BC – The Babylonians begin to use fire assay to test the purity of gold. 1223 BC – Tutankhamun’s funeral mask is made. 1200 BC – Egyptians developed advanced goldsmithing techniques, such as Gold Leafing and Lost-Wax. During this time, settlers on the eastern shores of the Black Sea made used of unshorn sheepskin to recover Gold dust from river sands. They were then dried and shaken to dislodge gold. This likely inspired the story of the “Golden Fleece”. 700 BC – Etruscans civilization (Modern Italy) began substituting teeth with Gold. This was for asthetic reasons, so people (mostly women) could show off their wealth and status. 218 BC – Romans began Gold mining in Spain, using panning and hardrock mining. After the fall of Rome, no new Gold had been mined, and there were shortages everywhere of Gold, especially as a currency. Likely hording was being done, which might explain its shortage (similar to the 1930’s Great Depression). Towns began to disappear. 600 AD – After the fall of Rome, the Byzantine Empire resumes gold mining in central Europe and France. 742 AD – Charlemagne overruns and plunders the Avars vast quantities of Gold. This allows Charlemagne to take control over Western Europe. 1066 – With the Norman conquest, a metallic currency standard is finally re-established in Great Britain with the introduction of a system of pounds, shillings, and pence. 1079 – Hard rock Gold mining begins in Korea. 1284 – Venice introduces the gold Ducat, which soon becomes the most popular coin in the known world. 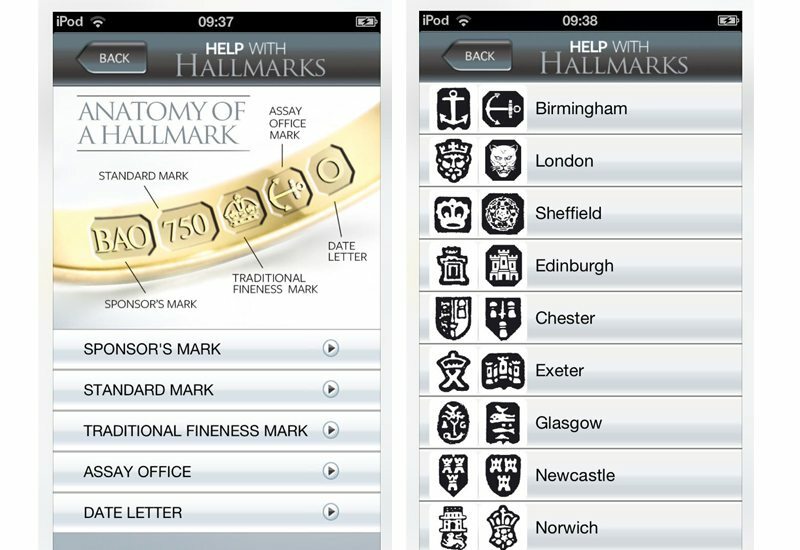 1300 – The world’s first “hallmarking” system was established at Goldsmith’s Hall in London. The purpose of the hallmarking system is to determine and guarantee the quality of precious metals such as gold. 1370 – Major mines throughout Europe became exhausted as death reigned during the Hundred Years War and Black Death. This marked a sharp decline in Gold Mining and Production. This was known as ‘The Great Bullion Famine’. It wouldn’t be until the 1420’s did Gold mining resume. 1492 – During a visit to Haiti, Christopher Columbus found gold nuggets lying on the bottom of rivers and harbors. 1511 – King Ferdinand of Spain says to explorers, “Get gold, humanely if you can, but all hazards, get gold,” launching massive expeditions to the newly discovered lands of the Western Hemisphere. 1599 – Spanish governor in Ecuador taxed the Jivaro tribe so excessively that they executed him by pouring molten gold down his throat. 1601 – Gold discovered on Sado Island, off the coast of Japan. Would be Japan’s primary source of Gold for centuries. 1700 – Gold is discovered in Brazil, which becomes the largest producer of gold by 1720, with nearly two-thirds of the world’s output. 1799 – A 17-pound gold nugget is found in Cabarrus County, North Carolina, the first documented gold discovery in the United States. 1830 – Heinrich G. Kuhn announces his discovery of the formula for fired-on Glanz (bright) Gold. It makes Meissen gold-decorated china world famous. 1868 – George Harrison, while digging up stones to build a house, discovers gold in South Africa – since then, the source of nearly 40% of all gold ever mined. 1887 – A British patent is issued to John Steward MacArthur for the cyanidation process for recovering gold from ore. The process results in a doubling of world gold output over the next twenty years. 1903 – The Engelhard Corporation introduces an organic medium to print gold on surfaces. First used for decoration, the medium becomes the foundation for microcircuit printing technology. 1914 – 1919 – A strict gold standard is suspended by several countries, including United States and Great Britain, during World War I. 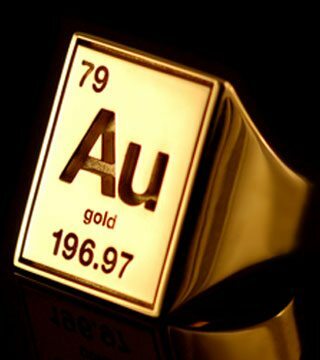 1927 – An extensive medical study conducted in France proves gold to be valuable in the treatment of rheumatoid arthritis. 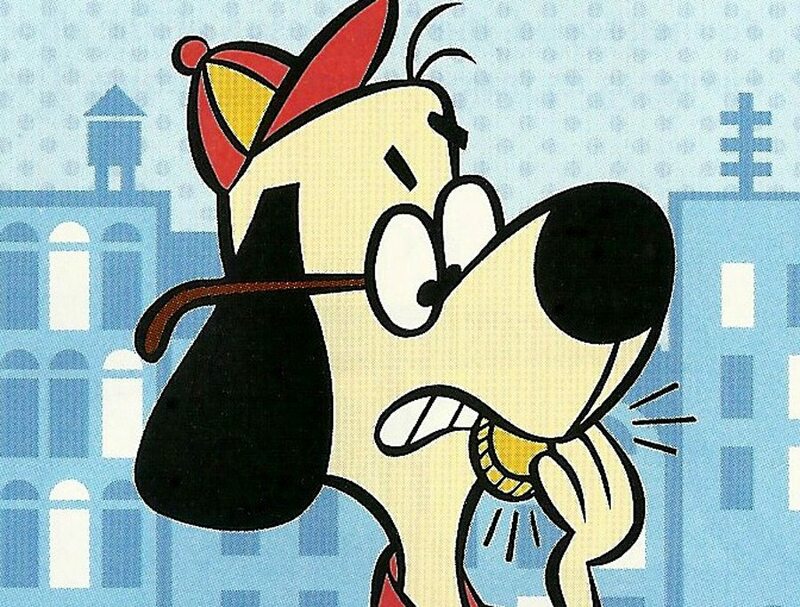 1933 – To alleviate the banking panic, President Franklin D. Roosevelt prohibits private holdings of all gold coins, bullion, and certificates. 1935 – Western Electric Alloy (69% Gold, 25% Silver, and 6% Platinum) is used for all switching contacts for AT&T telecommunications equipment. 1942 – President Franklin D. Roosevelt issues a presidential edict closing all U.S. gold mines. 1947 – The first transistor is assembled at AT&T Bell Laboratories. The device uses gold contacts pressed into a germanium surface. 1965 – Col. Edward White makes the first space walk during the Gemini IV mission, using a gold-coated visor to protect his eyes from direct sunlight. 1967 – South Africa produces the first Krugerrand. 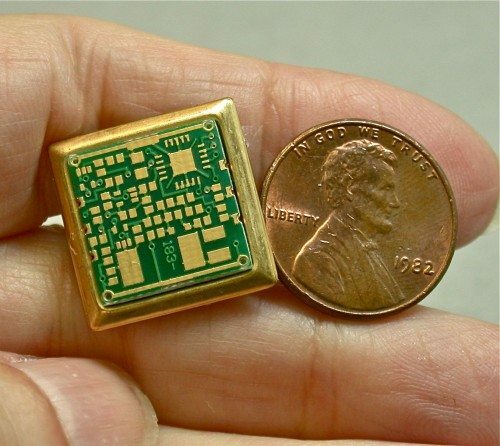 While Gold is all around us in everyday life, especially in electronics, there is nothing to really note in this section that is necessarily innovative. However, there is a lot of research being done during this time that will be discussed in the Future section. 1971 – The colloidal gold marker system is introduced by Amersham Corporation of Illinois. Tiny spheres of gold are used in health research laboratories worldwide to mark or tag specific proteins to reveal their function in the human body for the treatment of disease. 1974 – Americans permitted to own gold, other than just jewelry, as of December 31. 1976 – The Gold Institute is established to promote the common business interests of the gold industry by providing statistical data and other relevant information to its members, the media, and the public, while also acting as an industry spokesperson. 1981 – The first space shuttle is launched, using gold-coated impellers in its liquid hydrogen fuel pump and 90lbs (41kg) of Gold is used for brazing alloy, fuel cells, and electrical contacts. 1986 – Gold-coated compact discs are introduced. 1996 – The Mars Global Surveyor is launched with an on-board gold-coated parabolic telescope-mirror that will generate a detailed map of the entire Martian surface over a two-year period. 2000 – Astronomers at the Keck Observatory in Hawaii use the giant gold-coated mirrors of the most detailed images of Neptune and Uranus ever captured. As we get closer to the present, Gold innovation seems to decrease, and it is in some ways becoming less relevant. We live in a world now, that Gold is not the measurement of success, and even if you have Gold, there are other means of striking it rich. How much Gold one has is not as impressive as it once was, and in many ways, seems gaudy. Gold is now used in technology. Even with the superiority of Copper and Silver, Gold is more reliable in long term performance. However, its scarcity makes it expensive to use. However, as we journey through this Universe, going to other stars and planets, Gold will be a major component. Meaning that we need more and more Gold in the future. As we continue to dig for Gold, it is going to get more expensive to extract. So new techniques and technologies will need to be developed to mine, extract, and process Gold to meet with the demands of the coming years. While there is a lot of Gold yet to be found on Earth, there are places within our own solar system that may be the next Gold rush. Places like the moon, which is reported to have more Gold on its surface than the richest mines found on Earth. Of course, the prospector of old won’t be able to go to the moon to find it, rather companies building their own machines will be the prospectors of the future. It is believe that Mars may have gold on it, though only trace amounts (so far). Asteroid mining may also provide Gold as well, with S-type Asteroids containing up to 110lbs (50kg) of Gold, and M-type (rare) containing 10 times that amount. While this might seem only a little bit, when it comes to Gold, a little can go a long way. This is the future of Gold, which will be used in vast variety of functions. The name is as it sounds, tiny particles of Gold, similar to Gold Salt. It is actually Colloidal Gold, which is Gold suspended in liquid. 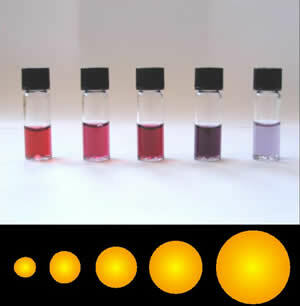 In fact, based on the size of Gold particles, will determine what colour the liquid is. NOTE: Many things listed here have been demonstrated in research laboratories, but may not have yet been used in human testing, or have made it on the market for widespread use. One such use, starting in the 1970’s was Immunogold Labeling, which is used to tag proteins under a microscope, as means of labeling to help map out diseases. There has been research into using Gold Nanoparticles as a drug delivery system. A drug can be attached to Gold Nanoparticles and then delivered to a specific location. This is only useful if the drug therapy wouldn’t work on its own, or if it is otherwise dangerous to the patient, such as Paclitaxel (used to treat ovarian, breast, lung, and pancreatic cancer). Something that can be used to treat cancer can also be deadly to people, unless a delivery system like Gold Nanoparticles are used. Gold Nanoparticles can also be used to circumvent multidrug resistance, by targeting where the drug is needed, rather than disperse through the body as is the case with oral medications, before targeting the specific area. Gold Nanoparticles can act as a contrast to scanning equipment for the detection of tumors. As Gold is reflective, it can be used to find tumors using an anti-body and SERS (Surface Enhanced Raman Spectroscopy). Not only just detection, but research with Gold Nanoparticles could help in Gene Therapy, and knocking down RNA in cancer cells. A catalytic convertor is a device found in the modern automobile that can help clean the exhaust created from the engine. Introduced in 2011, Gold along with Platinum and Palladium (two metals already used) can help break up pollutants that would otherwise pollute the environment, by making the gas exhaust less harmful. The same principle in Gold breaking up contaminants is also being researched in groundwater contamination. A trial in 2014 in Kentucky was successful in cleaning a source of water. While Gold used in micro-circuity is nothing new, the frontier to what can be done is still in its infancy. With wires that can be stretches to be only a few hundred nanometers thick, we can integrate them with stretchable polymers to use as circuitry anywhere we need, whether woven into our clothing to implants installed on our skin. We mentioned in this article that Auranofin was used to treat arthritis, but not at a very successful rate. However, the drug has shown promise in other areas. There is research being done to help treat patients with HIV, tuberculosis, and ovarian cancer. Honestly, who here thought that Gold was just shiny rocks used to for the pursuit of wealth? Who knew that our ancestors quest for better living and obsession of consuming Gold (literally) would hold an element in truth for new drug therapies? Or even that expeditions in search of Gold would later be used as a means to explore new frontiers? When I worked on the article for Iron, I had thought that Iron was far more important than Gold, as Gold was just an object of obsession and didn’t have as much function within our society as Steel did. And an argument could still be made that Steel is still more important, but having done all this research, a good counter argument in favor of Gold can be made. I’m glad to come to the end of the Metals of Antiquity series. The seven metals known to the world from the Ancient Age to basically the Industrial Revolution, when more metals were discovered. I saved Gold for last, and I am glad I did. This, to date, is the longest article I have written on this website. I would apologize, but there is a lot to know for writers when you mention Gold in your book. It’s not something just to have in your book. If Gold is featured in your story, you need to know how where it came from, how was it processed, how pure it is, and a host of other things. Knowing this can actually say a lot about your society and the characters themselves. Was it obtained from mining, or conquest? Is it .999 gold, or actually electrum? Is it actually yellow, or is it red, or even green? This can tell us how advanced your society is, even in the context of an ancient/middle age perspective. Gold is something to always consider, no matter what age your story takes place, even if on a different planet. Whether mankind is fighting dragons with steel swords or fighting a futuristic battle with spaceships… how Gold is used will say something about the world itself. Unless it is Modern Fiction, which then is not so important… but then, you wouldn’t do much Worldbuilding anyways. As always, this article is meant to serve as a beginning for you, to start your own research by giving you a good starting point. There is much I didn’t talk about, as you may see it for future articles.